WhatsApp is most popular mobile messaging service in the world. WhatsApp Users always want some new tricks for WhatsApp app. It recently achieved its milestone of having nearly 1 Billion users and we had discussed lots of cool tricks and tips that you can try on this cool app. The trick is quite easy, and you just need the email chats conversation and then you can get it into txt Format using Gmail. Follow the simple steps that we have discussed below. First of all you need to Open WhatsApp App. Now you need to click on three dotted sign located on right top corner. There you need to tap on Settings. Now there you will see many types of options. You need to click on Chats Settings there. Now Click on Backup Conversation option. Your all chat contacts and groups comes in your screen after you click on Email Conversation option. Now you need to choose the chat whose you want to convert it to txt format. Simply choose the chat. Select any of them and click on Gmail Option. When you get in the Gmail app then just tap on three dots and click on Save Draft option there or you can send this mail to any email from send button. Now the mail will get a draft and you just need is to open the Gmail app there and then there select the draft section there. Now Download this chat from opening your draft section in email and download this whastapp conversation in txt format. 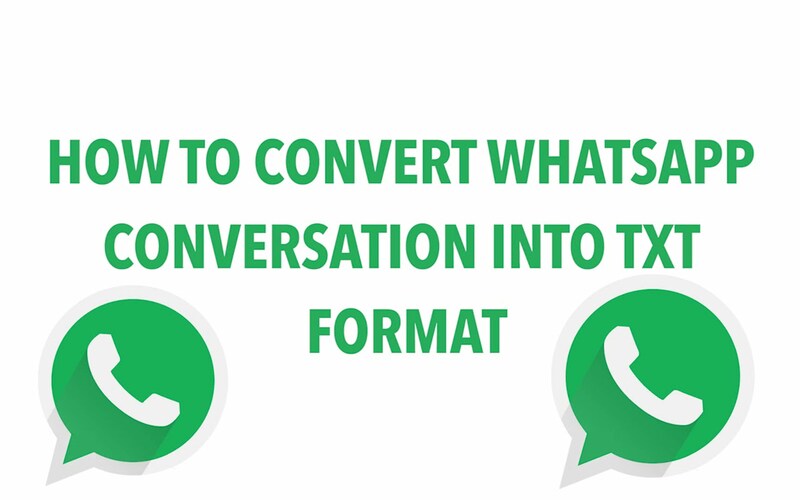 So above was all about How to Convert WhatsApp Conversation into TXT Format. Now you read your Whatsapp Chat into mobile in txt format. This is a simple process. You can export this file to your computer and read this file from notepad program. Hope you like it.